Robo is a WIP game intended to provide a full Sandbox feel, while providing an engaging and interesting storyline as a platformer as a sort of different feel to the genre. Robo has been in development a small amount of time. Because of this, only much of the back end of the programming has been done; it has to be implemented and made to run smoothly. Some Light on the Subject! 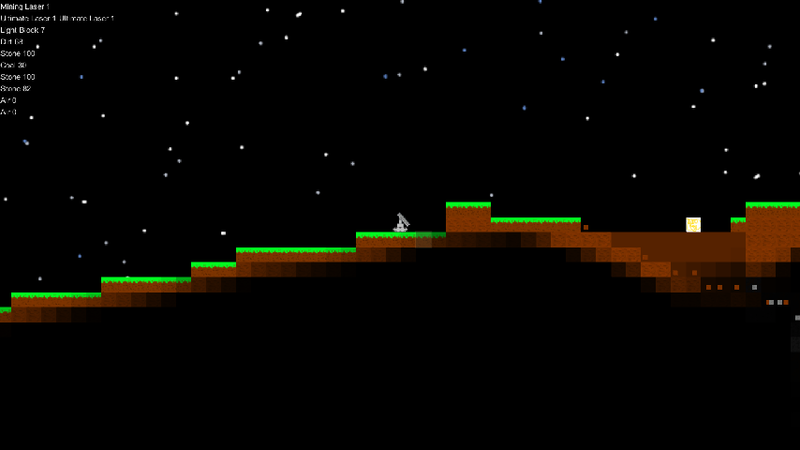 The lighting is quite simple, however it works really well for our tile based terrain. 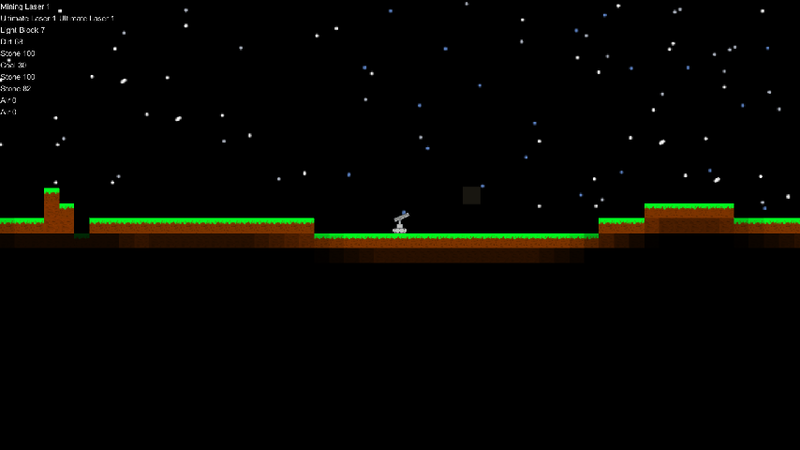 The light sources come from above the ground and from light blocks that the player can place. 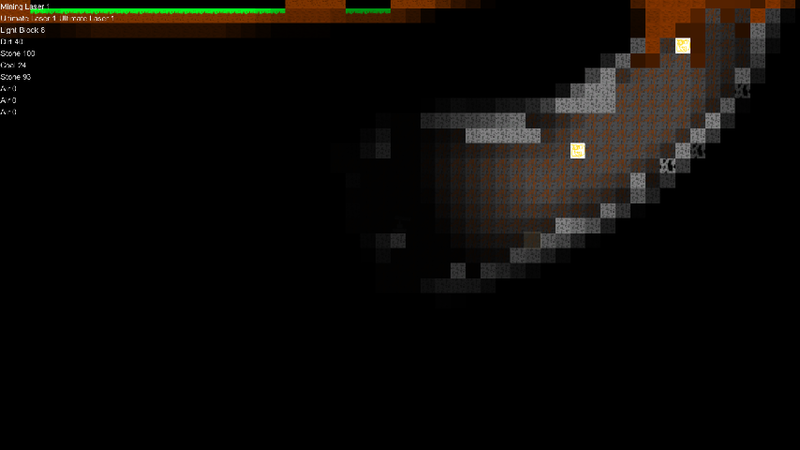 In the above image, Robo is seen in the dark, down the bottom of the cave. 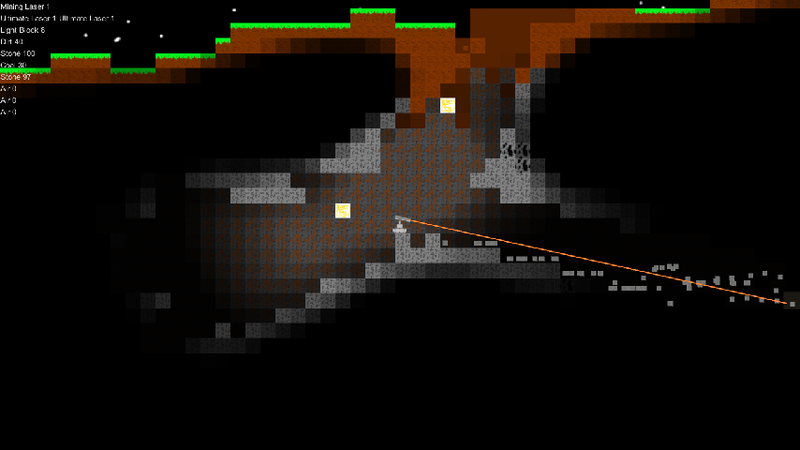 Light can also be seen coming from the empty air spaces above the ground. We have yet to make it so the Laser, and other non-tile entities are able to emit light as well. But this is a good starting point. This latest version will be up to download in the downloads section of our game. If you notice any bugs, be sure to message me on IndieDB or put a post in our forums in the Bugs/Glitches Section. Next on our list will be implementing multiplayer. So be ready! 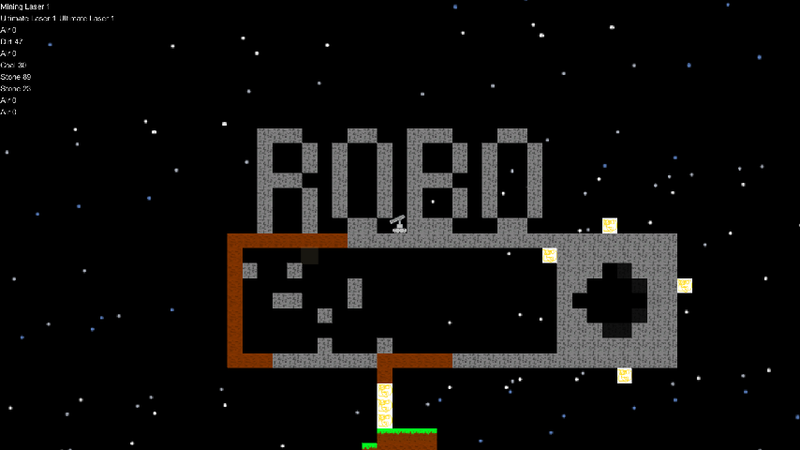 Robo, the story of a rover robot stuck on a foreign planet. This release shows off the simple yet effective lighting solution we have introduced.